Many times people will want to try to hide assets or money prior to filing divorce. This is not wise. Just because you sold your car to your brother for one dollar, does not mean you got away with something. The court will say that you dissipated that asset. And if you are caught, the court will not find you credible on anything else you do. The court has the power to go back two years prior to the filing of a divorce action, by statute. During that two years, if you do anything that seems like you are trying to hide money or get rid of money or get rid of assets and hide them or put them in a friend’s name or anything suspicious, the court has the power to make you pay half of that value to your spouse. There are things that must be proved, however, for a court to rule that you have dissipated assets. Generally, it is error to include assets in an equitable distribution scheme that had been diminished or dissipated during the dissolution proceedings. Roth v. Roth. An exception to this general position is when misconduct results in the dissipation of the marital asset. “In domestic relations case, dissipation occurs where one spouse uses marital funds for his or her own benefit and for a purpose unrelated to the marriage at a time when the marriage is undergoing an irreconcilable breakdown.” Rabbath v. Farid. Mismanagement of family finances and squandering of assets in a manner of which the other spouse disapproves do not constitute misconduct. Segall v. Segall. Every judicial district in this state (Florida) follows the same well-established principles. Winder v. Winder. The court’s recent decision in Ramos once again restated the well-established law on dissipation of marital assets. Ramos v. Ramos. There, the trial court charged the husband $36,000 for the value of a coin collection. The finding of dissipation appeared to be based on the trial court’s conclusion that the husband “removed the boxes for his benefit.” The trial court never made any express findings that the alleged dissipation resulted from misconduct. The court stated that the husband’s use of the coins to pay household expenses does not necessarily constitute “intentional misconduct.” Rather, the trial court must make a specific finding that the dissipation resulted from intentional misconduct. The trial court judgment was reversed and remanded with instructions to remove the depleted assets from the equitable distribution absent a finding of misconduct. In Walker, the first district reversed the case where the trial court found the husband intentionally dissipated his retirement account, which included incurring taxes and early withdrawal penalties in the amount of $47,000. Walker v. Walker. The district court correctly recognized that the record was devoid of any evidence of misconduct or intentional destruction of marital assets by the husband. Therefore, the trial court’s finding that retirement assets were dissipated was reversed. In Bush, the husband liquidated employment stock options and received a net amount of $22,000 after he paid taxes and commissions. Bush v. Bush. The stock options were valued at $43,138 at the time of filing the dissolution. The husband used most of the funds to pay the couples’ debts, including mortgage payments, attorney’s fees, and utilities. The husband also spent a portion of those funds on his new girlfriend. On appeal, this court ruled that the trial court improperly charged $43,138 to the husband in the equitable distribution because those funds were used to satisfy the parties’ financial obligations. In Lopez, the husband liquidated a 401(k) that was valued at approximately $76,000. Lopez v. Lopez. The husband incurred a tax burden of approximately $15,000 when he accessed his 401(k). The trial court found misconduct and allocated the value of the 401(k) and the entire tax burden to the husband in the equitable distribution. On appeal, the district court recognized that nearly $40,000 of the funds the husband received were used to pay attorney’s fees. Even though some funds were spent on the husband’s girlfriend, the overwhelming majority were used for legitimate purposes. Therefore, the trial court erred by charging the husband with the full value of the liquidated retirement account as well as the full tax consequences to obtain those funds. In Belford, the trial court’s equitable distribution included approximately $44,000 charged to the husband for money he withdrew from marital IRA accounts. Belford v. Belford. On appeal, the district court ruled that the evidence failed to prove misconduct by the husband. The court instructed the trial court to remove those funds from the distribution scheme. In Knecht, the trial court awarded an IRA to the wife in its equitable distribution that had already been depleted. Knecht v. Knecht. The wife’s unrebutted testimony was that she liquidated the entire IRA and used the funds for her own support. On appeal, the district court found that the trial court’s use of the pre-liquidation value of this account in the equitable distribution was an abuse of discretion. In Cooper, the husband liquidated his IRA several months before the final hearing and used the proceeds for temporary support obligations, payment of debts, and for his own living expenses. Cooper v. Cooper. The trial court made no findings that the husband’s use of his IRA account (or the taxes or penalties he incurred) constituted misconduct. The record did not support any findings of misconduct because the district court reversed the trial court’s order. Dissipation of funds is a serious allegation, but it has to be proved by the opposing side and the judge has to make clear findings of fact in the ruling. Liquidating funds to pay for marital debt, will usually be okay, just be very careful and have a paper trail of everything you do. As long as your actions are reasonable, it is usually okay. 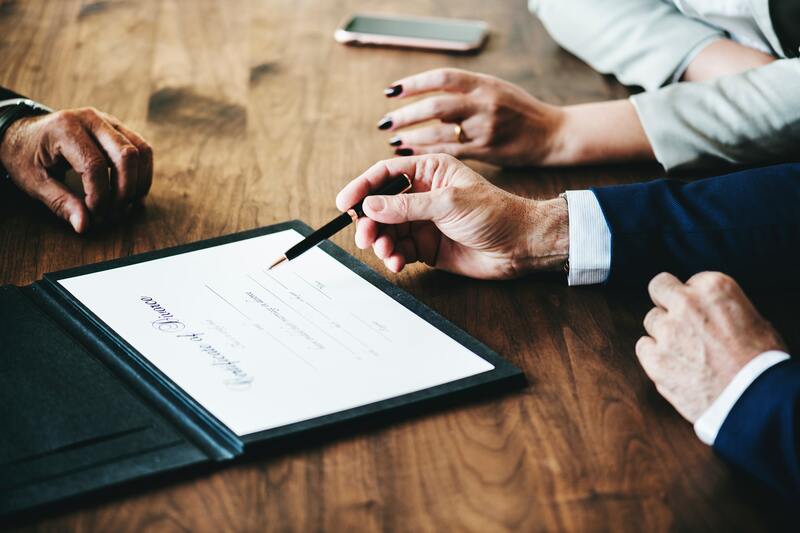 Permanent alimony is alimony that is paid from one spouse to another until the receiving spouse remarries, cohabitates with another person in a supportive relationship, financial situation changes, or a further order of the court. The purpose of permanent alimony is not to divide future income to establish financial equality. Rather, the two primary considerations in determining permanent periodic alimony are the needs of one spouse and the ability of the other spouse to provide the necessary funds to maintain the marital standard of living for each when possible. Potter v. Potter. A trial court’s discretion to award alimony is not limitless. Rather, discretionary authority is subject to the test of reasonableness, which requires a determination of whether there is logic and justification for the result. Canakaris v. Canakaris. Separating parties must often accept the reality that as a result of having to maintain two separate households, they will not be able to maintain the same standard of living that they enjoyed during the marriage. Williams v. Williams. “The two primary considerations in determining permanent periodic alimony are the needs of one spouse for the funds and the ability of the other spouse to provide the necessary funds, to maintain the marital standard of living for each when possible.” Potter v. Potter. A party cannot be required to maintain the other spouse’s standard of living when this maintenance stretched beyond their financial capacity. Fernandez v. Fernandez. The determination of the parties’ need and ability to pay must be based on the parties’ respective financial conditions. Florida statute 61.08. The parties’ net incomes are the relevant benchmark for determining the appropriate amount of an alimony award. Vega v. Vega. Basically a court cannot just award alimony because they like one spouse more than the other. There has to be a justification and a payment of permanent alimony cannot send one person to the poorhouse and another on a yacht. It must be reasonable and based on a person’s net income not gross. The court has the power to award attorney’s fees in a divorce case. When one spouse earns significantly more than the other, the court will frequently make that spouse contribute to the lesser-earning spouse’s attorney’s fees. The purpose of awarding fees is to ensure that both parties have similar access to competent legal counsel. Sumlar v. Sumlar. After making a truly equitable distribution of marital assets and awarding alimony or other sources of income, it is inequitable to diminish the assets awarded to either party by requiring one to pay the other’s litigation costs for each party as a substantially equal ability to pay their own. Martinez v. Martinez. When both parties have a similar ability to obtain competent legal counsel without creating an inequitable diminution in economic status, an award of attorney’s fees is improper. Wenz v. Collings. Basically it is not the case that just because one person earns more than the other person that the person earning more money has to pay attorney’s fees. It is a reasonable standard if both parties can pay for their attorney, then they must pay for it on their own. Kenny Leigh and Associates is a Florida family law firm that exclusively represents men in the area of family law. For more detail regarding these issues and other issues, go to divorcemenonly.com.